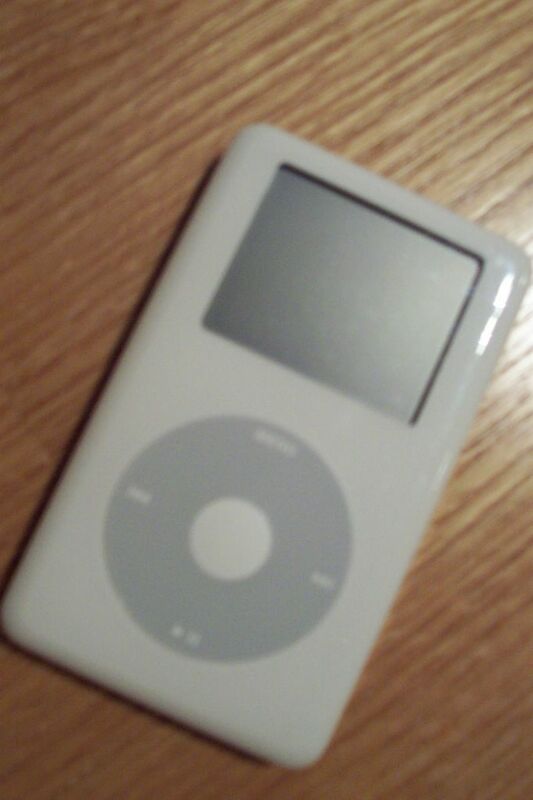 This is my 20-gigabyte fourth generation iPod. I have almost 2000 songs on it, and I use it to store and transport every digital picture and electronic document I own, including my portfolio and my website. It works seamlessly between my notebook PC, which runs WinXP, and my Mac-Mini, which runs Mac OSX Tiger. I wished it looked as cool in its protective case as it does out of its protective case. Here are some pictures of iPods all around the world.